When Jane Addams founded Hull House in 1889, children’s rights were barely existent, let alone protected. This concept would change immeasurably during her lifetime, and her legacy of advocating on behalf of children would continue long after Addams’ death in 1935. Addams created the Hull House to work with the people who would need the assistance the most. It was a responsive approach, requiring deep listening to the needs of the community, and identifying solutions with people rather than for them. This approach allowed for a deeper understanding of the issues, and consequently, more lasting solutions. Hull House’s holistic approach to protecting and advocating for children helped build the foundation for, and ultimately, the modern juvenile court system. In Addams’ view, the creation of a juvenile court system comprised only one aspect of larger-scale and much-needed reforms meant to eliminate abusive conditions faced by children. In an effort to address an increasingly important issue facing its immigrant and working-class communities, Hull House sponsored a bill to forbid the presence of children in poor houses. The bill was unsuccessful, but spurred Addams’ and Hull House’s work toward a juvenile justice system which treated children as children, not as adults – and certainly not as criminals. The Illinois Juvenile Court Act of 1899 created such a system, in response to calls for reform from Progressives including Addams. The Act set up a court with children’s judges who kept children out of adult jails, assuming delinquent children had committed a mistake rather than a crime, and that they deserved correction rather than punishment. Hull House directly and indirectly encouraged – from a leading advocate sitting on the Juvenile Court Committee and a resident serving as the first probation officer, to advising on appointing judges – the rehabilitative ideal of the Juvenile Court. Specialists worked together to understand a child’s environment and develop a treatment plan based on his or her best interest. As organizations like the Protective Agency for Women and Children, which would later become the Chicago Legal Aid Society of United Charities of Chicago (the latter being Metropolitan Family Services’ former name), began to provide pro bono legal help in the fight for equal rights for children, the movement behind juvenile justice began to grow. They believed the cause of juvenile crime related most strongly to the environment in which the children were living, and that a change in their conditions could change their characters. The belief that children are more amenable to rehabilitation than adults, advocated by Jane Addams in the formation of the juvenile justice system, helped reframe cultural and legal interpretations of “the best interests of the child” and prevails today as a foundation for the modern justice system. The Industrial Revolution brought about another avenue to advocate for the betterment of conditions for children: child labor was becoming increasingly more significant due to the economy. As a response to increasing concerns over unsafe working conditions and new social science research suggesting that protecting children would benefit society by safeguarding the country’s future, in 1902 Addams co-founded the Child Labor Committee to protest child labor. The Child Labor Committee grew by 1904 into the National Child Labor Committee (NCLC), consisting of politicians, social workers, and citizens who campaigned for new legislation to support the rights of children. Facing opposition by employers who felt child labor was the driving force of the economy and suggested it added to a child’s moral fiber, the NCLC harnessed the power of propaganda – National Child Labor Day, voluminous research and reports, a photography campaign – to demonstrate the negative impact of exploiting children. While Addams’ NCLC began the first major step in child labor reform, her Hull House offered a safe haven to those affected – not only for children as an alternative to labor, but also for their families dealing with financial instability. Addams leveraged her platform as the founder of Hull House to change the social atmosphere by providing children with shelter, assistance, and most importantly to Addams, education. Her belief that holistic education would empower children to be better citizens informed Hull House’s development of educational programming across disciplines; in addition to a variety of classes in music, theater, and the arts, Hull House offered childcare services and kindergarten. Hull House’s kindergarten programming helped pave the way for compulsory early childhood education (the Board of Public Education ultimately adopted kindergarten as part of the public school system), providing children a productive and healthy alternative to working. Addams prioritized child labor issues; with Hull House, and as a board member of the Legal Aid Society of United Charities of Chicago (now Metropolitan Family Services), she contributed to the 1912 creation of the U.S. Children’s Bureau and the 1916 Federal Child Labor Law. The results of these efforts are felt today, as critical components of the creation of the Fair Labor Standards Act (FLSA), which requires employers to give children a minimum wage and a maximum amount of work hours, as well as set age and work limits for children. While the path to the FLSA included several unsuccessful and overturned pieces of legislation, they all contributed to a solid Act that, once upheld, led children to stop working and receive an education. 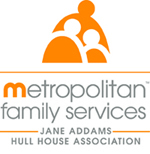 To learn more about the work of Jane Addams and Hull House in advocating for child protection laws, visit our Resources page.